Making a Larger Down Payment: Is It Worth It? Find Out Here! Making a Larger Down Payment: Is It Worth It? If you are getting ready to purchase a home, you are probably wondering how much of a down payment you should make and how it will affect your budget. Deciding how much to put down can be a tough decision, because the size of the down payment will have an influence over your mortgage. Making a larger down payment is usually beneficial, if you can afford it, but it also has a few downsides. However, making a down payment that is too small will attract extra costs, such as a higher interest rate or the requirement to pay Private Mortgage Insurance (PMI). Generally, unless you can invest the money that you are going to use as a down payment somewhere else, making a larger down payment can actually save you money in the long run. Your monthly mortgage payments will be lower, the interest rate that you will be paying will be lower, you’ll avoid paying for Private Mortgage Insurance and have other advantages. Let’s take a look at the most important benefits that making a larger down payment will provide. Lower mortgage payments. The down payment represents a big chunk of the total loan value, so the bigger it is, the smaller the remaining amount will be, meaning that your monthly mortgage payments will also decrease. By lowering the amount left to pay on your mortgage, you save money, because you won’t pay thousands in interest over the years. Lowering your monthly payments also makes your monthly budget higher, allowing you to spend more money on other expenses. Lower interest rate. The higher your loan-to-value ratio is, the more of a risk you will be in the eyes of your lender. Making a larger down payment lowers your loan-to-value ratio and the interest rate that you will have to pay. A lower interest rate means that you will be paying significantly less on your mortgage over time, even if the difference is very small. No Private Mortgage Insurance. Conventional mortgage loans require a 20 percent or more down payment in order to avoid paying for Private Mortgage Insurance. When making a larger down payment, you also save money by not paying a PMI. Less risk of being upside down on your mortgage. If the housing market crashes and you are forced to sell your home, having a mortgage balance that is higher than your home’s value can put you in a very difficult situation. If you have made a larger down payment when you purchased the home, the risk of being put in this situation will be much lower. Build more equity in your home. A larger down payment can help you build more equity in your home much quicker. If you encounter some financial hardships in the future, you can get past them much easier because you will be able to borrow more against the equity in your home. 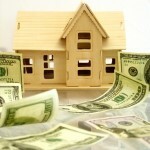 Larger down payments are usually considered very beneficial, but they also have a few disadvantages. The largest one being that the money used for the down payment can be invested somewhere else, where they will generate a return, or left into a savings account where they will generate interest. Another disadvantage is that, because the interest rate will be lower on your mortgage, you will have less tax deductible payments. A third disadvantage, and a very important one, is that you lose access to an emergency fund if you tap into your savings in order to make a larger down payment. Whether you decide to make a larger down payment, invest the money, or just keep it for a rainy day, depends entirely on your financial situation and future plans. You could be saving more if you put more money down, but you shouldn’t do it at the expense of financial security.